Whenever you just seem to get into an uninspired space and you feel a bit stuck with what you love to create, kind of a form of writer's block, it can be discouraging. Especially when it seems like no matter what you try and do, you seem to come up in a very empty room where the walls are staring blankly back at you. 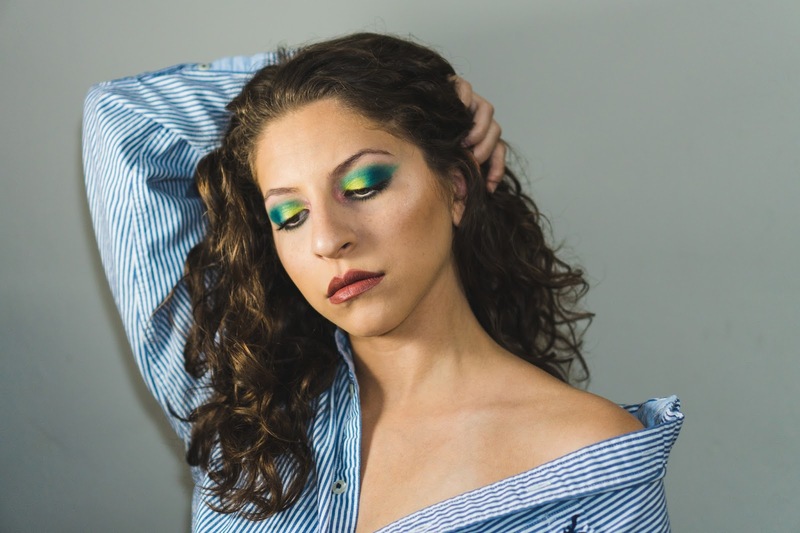 Well, I have fallen into this space and to help myself get rid of my creative block I decided to buy myself a beautifully filled color eye-shadow palette and play with some rich, bright hues. This is taking myself out of my comfort zone, this is me pushing myself out of that white room to see what else is hidden behind the door, or rather, I can stay inside the room and paint the walls in whatever vision I see fit. Either option is wonderful. Whether it is a big or small step, I think it is important to try something fresh, something different and find new inspiration. I bought the Urban Decay palette when it went on sale and this is the first time I am using it. I have been wanting to purchase an eyeshadow palette filled with the shades of the rainbow and though this Basquiat palette does not contain all these hues, it spoke to me. I love that his artwork was included in the packaging and the color range is beautiful. The palette is unfortunately unavailable now and I will be saddened when the shadows are completely gone and used up. I love the way this look came out and it has definitely inspired and motivated me to start creating again. The process of putting together a look, setting up the lighting and camera, and the editing process I find so enjoyable. I have missed it dearly and so, so, sooooo happy to be doing it again while I have more free time! I hope that everyone has a moment everyday where they are inspired. Take a chance and try something crazy, something strange. You never know what will come of it.